Female drummers have often been overlooked in drumming history but there have been pioneers that have taken on male-dominated styles of music. Many more female drummers have emerged in the 21st century more than any time in history. Female drummers broke new ground in the 1960’s and continue to break down stereotypes. Moe Tucker was one of the pioneers of female drumming, joining Velvet Underground in 1965. Her style of drumming was unconventional as she stood and used mallets instead of sticks and did not use cymbals often. She also used an upturned bass drum. Her minimalist style influenced punk players and a new generation of female drummers. 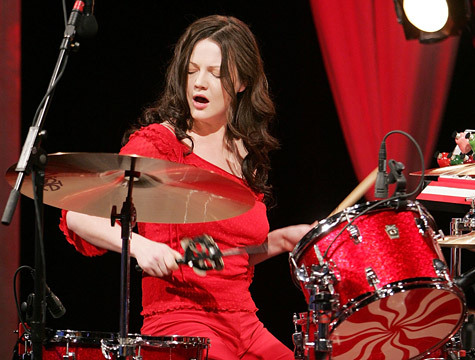 Meg White from the White Stripes also uses minimal equipment and maintains a steady beat with the White Stripes. She contributes to the shock an awe style of the band and White has probably influenced thousands of female drummers. Patty Schemel of Courtney Love led rock band Hole and became well know in the 2000s. She has been a major contributor of modern rock history allowing filmmakers backstage footage and featuring in documentaries about her close ties to Kurt Cobain. Females will continue to become more prominent in contemporary music as they take on the traditionally male-dominated style of music such as jazz and rock music.